Thank you for visiting DaddyTesting.com. While our marketing and promotions may be lighthearted and humorous, the reality is that DNA paternity testing can be a very serious, personal and sensitive matter. The results of a paternity test or any other DNA testing service has the potential to be life altering – and that is no laughing matter. 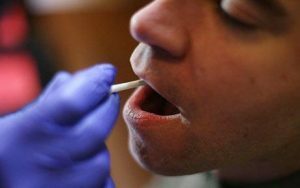 Your DNA testing questions, concerns and collections will be handled in a professional, courteous and confidential manner by trained and certified DNA collection professionals. Your DNA specimens are tested and re-tested by an internationally recognized and accredited DNA testing laboratory providing accurate results in as little as 3-5 business days. Thanks again for visiting DaddyTesting.com. Please… feel free to browse our website or contact us directly for further information on how we can best serve your DNA testing needs. Carolina Testing is a professional drug, alcohol and DNA testing company based in Conway, SC. As an exclusive service provider for DaddyTesting.com, Carolina Testing serves the Grand Strand area of South Carolina including Horry, Georgetown, Marion, Dillon, Florence and Williamsburg Counties.